Detective MeChelle Deakes is to solve an unsolved murder. She has only one clue: a tape recording with the murderer’s voice. When MeChelle wakes up one morning, her eyes are taped shut. 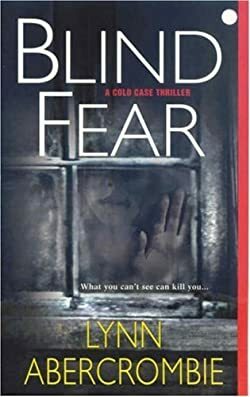 Detective Mechelle Deakes wakes up to discover she’s blind. Worse, once she stumbles out of bed, she realizes she’s not in her own room. His partner missing, Lt. Hank Gooch looks into her most recent investigation, a case involving a young blind woman who came in to report an old, unsolved murder. The whole book takes place in 13 hours. The characters of MeChelle and Hank did progress through this whole case, even though it’s relatively easy to figure out who the bad guy is early on.